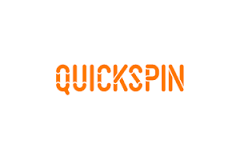 QuickSpin sure has a way to bring fairy tales to life. In fact, we’ll all remember the immense success Big Bad Wolf Video slot had when it landed in online casinos! And many game experts attributed the success of Big Bad Wolf to the excellent gameplay and the unique take on the story! So given the fact that Dwarfs Gone Wild also brings its own take on a story you know well. We’re sure this game will be a hit with British players! What’s more is that QuickSpin, not only added a progression feature in this slot, but they also created new Dwarfs with their own wild powers that are designed to make you win big! And of course, keep the fun lasting even with a small deposit! Without a doubt, this is a slot that will appeal to all players! By and large, one of the best features of Dwarfs Gone Wild is its progression feature. Indeed, when you load the game have a look on the left-hand side of the reels. You’ll for sure, notice the miner’s progression bar. In fact, the golden progression bar increase with every winning combination you make that contains 3 or more Dwarfs symbols. And once you’ve completed a level, a Dwarf feature will be triggered and you’ll frequently have a big win too. In short, the progression bar has seven levels (one for each Dwarf), and the pay table will tell you more about the rewards that come with each level you finish. Additionally, it’s worth knowing that in the base game you’ll also have the chance to trigger the Mirror feature. To sum up, the mirror feature is active when a mirror land on the inner reel and it’ll add 300 high-paying symbols to the reels. Naturally, since the storyline of this slot revolves around the 7 Dwarfs, know that after landing 3 bonus symbols you’ll play 7 Free Spins. The Free Spins bonus is another excellent feature of Dwarfs Gone Wild. Indeed, know that every spin will give you something extra since the 7 Dwarfs will all appear on the reels to perform their tricks! So, you’ll get extra wilds, re-spins and a lot more! Honestly, there’s never a dull moment when you play Dwarfs Gone Wild! In fact, we’re confident pretty much everyone will adore this game. So why not giving it a spin with a casino bonus to have more playtime with your deposit?